Lake Nokomis Carp Management Research	This project reduces carp populations in Lake Nokomis and connected water bodies, and provides guidance using current research for ongoing large-scale carp management. Population estimate work continues. Tracking tagged carp continues as temperatures drop into the winter, to determine whether the carp are forming a tight aggregation (or “school”). Contractors and gear are ready to conduct a carp removal when a critical mass of carp have aggregated. Surveys and monitoring to determine carp population, age structure, and recruitment continue. Several more carp were tagged throughout the watershed, including one carp in Soloman Wetland that later migrated to Lake Nokomis. As a bottom-feeding fish, carp are capable of disturbing lake beds where phosphorous has settled. This diminishes water quality by creating algal blooms. Carp also eat and uproot vegetation, which can destroy a lake’s aquatic plant community. Lakes with an overgrowth of carp typically have high phosphorus concentrations, low water clarity, and little to no aquatic plant growth. In 2000-2001, carp were removed from Lake Nokomis as part of a broader water-quality project implemented by the Blue Water Partnership. Formed in 1998 by the MPRB, the City of Minneapolis and the Minnehaha Creek Watershed District (MCWD), the Blue Water Partnership also expanded three wetlands near Lake Nokomis to create settling ponds, installed two grit chambers near the lake; and installed two generations of weirs on Minnehaha Creek to keep pollution, stormwater, and invasive species out of Lake Nokomis. From 2010 to 2016, the MCWD conducted a biomanipulation project to remove other “rough fish” species, such as bullhead; and also to stock predator fish that could eat fish linked to increased algae and turbidity. 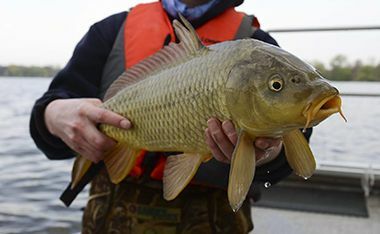 Based on MPRB field staff’s observations of carp in possibly excessive numbers, MCWD organized an electrofishing expedition on the lake as the initial step in estimating its carp population. 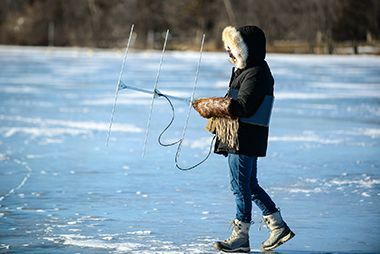 Based on those estimates and research conducted by Minnesota Aquatic Invasive Species Research Center at the U of M, it was determined that Lake Nokomis’ carp population had indeed reached a point where water quality could be affected. In 2016, the MPRB was awarded funding for a project to study Lake Nokomis’ carp population by applying new research to a proven approach. The goal of the project is to develop long-term management practices that improve water quality. Remove carp from the lake during periods when the fish have aggregated (or “schooled”) during winter. 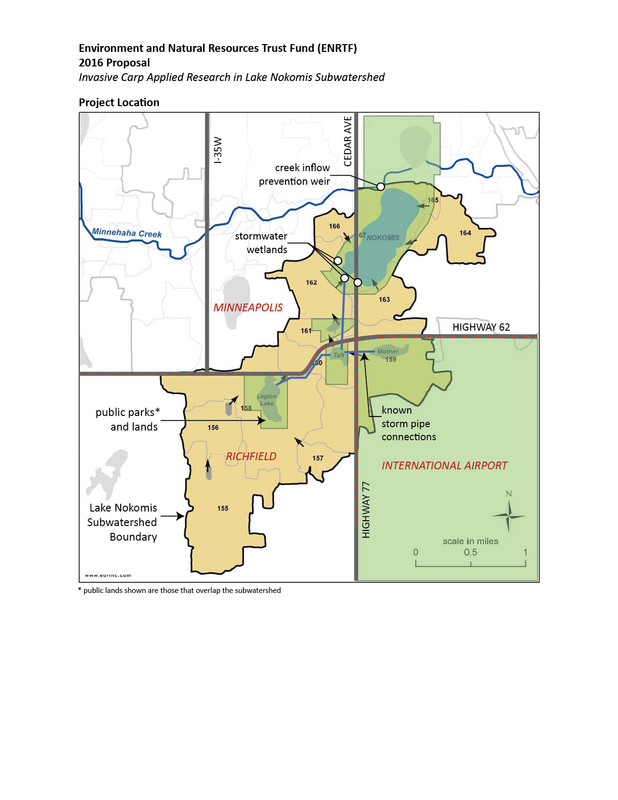 The project study area is the entire Lake Nokomis subwatershed [JPG]: this includes Taft Lake, Mother Lake, Legion Lake, and several wetlands where carp are most likely migrating through storm sewers, open channels, wetlands and Minnehaha Creek. Carp migrate so that they can spawn in lakes and wetlands that experience winter kill (when fish die in winter due to a lack of oxygen). This eliminates competition from other fish species that feed on carp eggs and larvae. The project is estimated to run through December 2019. Funding of $189,000 for this project was provided by the Minnesota Environment and Natural Resources Trust Fund as recommended by the Legislative-Citizen Commission on Minnesota Resources.